Hi babes, I hope you are wearing stretchy pants and have full bellies if you live in ‘Merica. 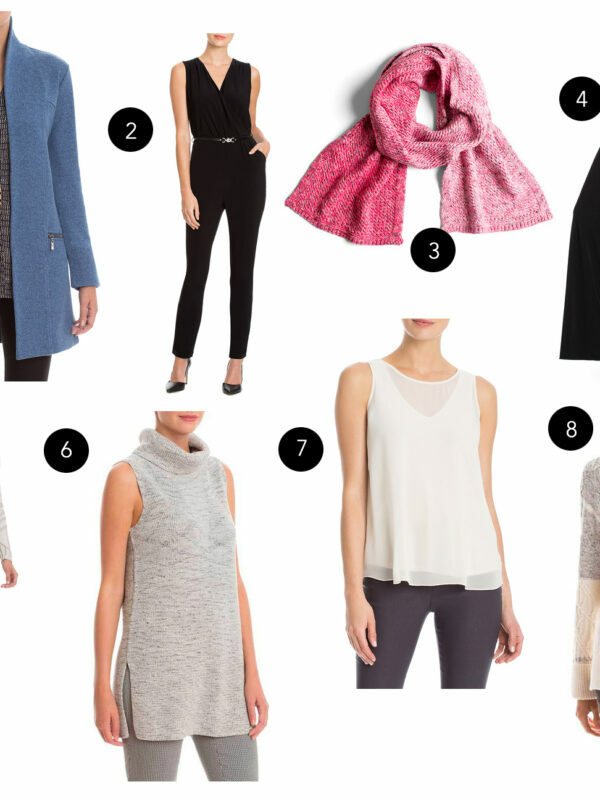 It’s Thanksgiving and I thought I’d just throw up a personal post with yes, a few shopping links so you can get busy on some online shopping (see my favorite products here), or, just take a wee bit of a break with me. Thanks for being here. I want to share a few things that have been going on. I had a birthday, I don’t publicize it until after. I disabled my birthday notifications on my Facebook about 10 years ago. My friend said he noticed as we laughed about how I handle my birthday. One of my girlfriends said, “You only want the people who need to know, to know,” and I smirked. Last year I posted around 10 pm on my birthday when it was almost over and the year before that, I posted the day after. I know it’s odd, but I’ve just been that way, it might change. I just kind of like that it’s a special day that my special people know. I realize some people love the birthday wishes or the Facebook wall posts but for some reason I like it private, anyone else? I also LOVE quality time over gifts and just appreciate my friends remembering and calling, I guess I’m officially an adult! HA! I had a great birthday, we were in Palm Springs and I cannot wait to share those images with you! Framing has begun on the house. Lumber was delivered on Monday, framing begun the next day, wahoo! Tresses are done I heard, windows are ordered, and I’m thrilled to continue to share this journey with you and share what we picked out for every siding and finish. My gift guide? I think you have enough gift guides thrown at you, and I think my entire blog can give you product idea, but if you’re looking for a few ideas, I have a shop page here which lists products on Amazon and by topic, I own everything on there so you know I’ve tested it and approve it! Feel free to browse them. I update it every quarter with new products I discover. Be a part of someone’s success story. I was thinking about how I could help friends, as well as the friends who have made key introductions, given words of encouragement, and I thought wouldn’t that be nice if that was our goal to help others? Use the good stuff. I was looking at this gold memo pad I have and I was looking it and remembered one of my favorite littles asking if they could color on the notepad (that was lined with the gold trim) and I was like, oh no here use printer paper. It was just instinct like, don’t use the good stuff, save that gold memo pad for golden ideas, I don’t know. Well I was looking at it today at my desk seeing how thick it is and thought, why not just USE it, let kid color on it, like really, it’s just paper, what am I saving it for? Which also makes me think of fancy plates, napkins, bras, just use it! I want to one day host Thanksgiving. That’s a big freaking goal, but I do. But I didn’t say I wanted to cook it I just want to host. Speaking of hosting, I think we’ll be hosting Easter from now on if travel and time allows – I wish that it wasn’t so hot by Easter. I also host Christmas – my girl’s annual pajama party. Maybe Thanksgiving is a bit too close to that, but it’s a goal, eventually. Maybe I’ll make it a 10 year goal. Did you host this year? 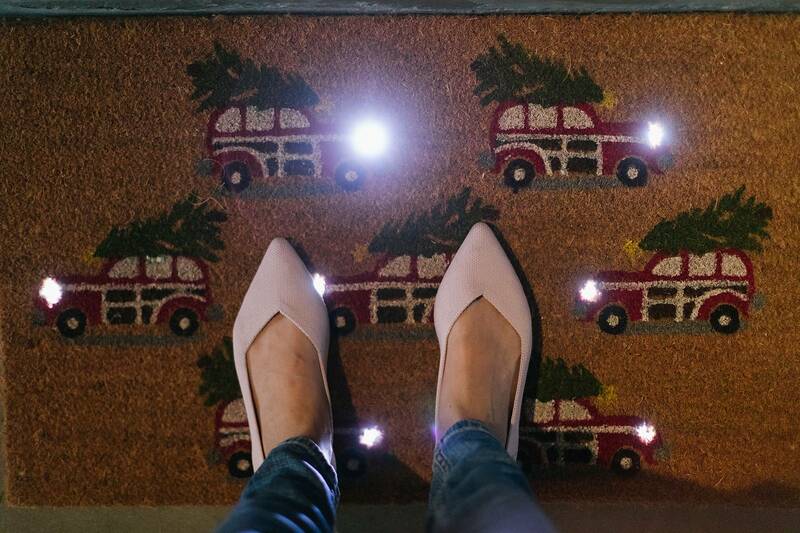 Try a light up doormat! Tthis light up doormat was a surprise! I had NO idea when I bought it. Benjamin had moved it out of the way because of construction and I saw this tapped instructional booklet on the back of the mat and was puzzled, I was like why are there batteries with this doormat? And then I squealed, and so did my Instagram friends when I shared it. Love Language – what I put out isn’t necessarily mine. It’s said that what you give usually shows what your love language is, but I find that I don’t care for gifts, but I love giving them. But to me that’s because I want people to know I’m thinking of them, but what I prefer most is quality time and words of affirmation. Like long words in a card or chats of encouragement, just time together is enough for me. I still don’t want to cut back on gifts though. I think not everyone has the luxury of quality time which is perhaps why I like to drop off a quick gift just to say, hey I thought about you! Do you know what your love language is? Continually trying to purge. Aren’t we all and aren’t I all the time? I photographed a girlfriend who is starting an organization business (but very unique) and after seeing her organize drawers, pantries and all I got the itch to really eliminate as much as I could and also head to The Container Store. I went 30 minutes before closing, cleaned out my kitchen cupboards and had 3 large garbage bags of expired food and randomness. I hope to create three more bags of trash this weekend, or donate bags! Again, I forgot to write my yearly reflections. I’ve been wiring one since I was 19 and I have one when I was 15 years old my English teacher made us write and she’d give it to us when we graduated. I was horrified and still am when I read that, cringe worthy! So every year I used to sit down and reflect on the year of age I experienced and hopes for the new one. 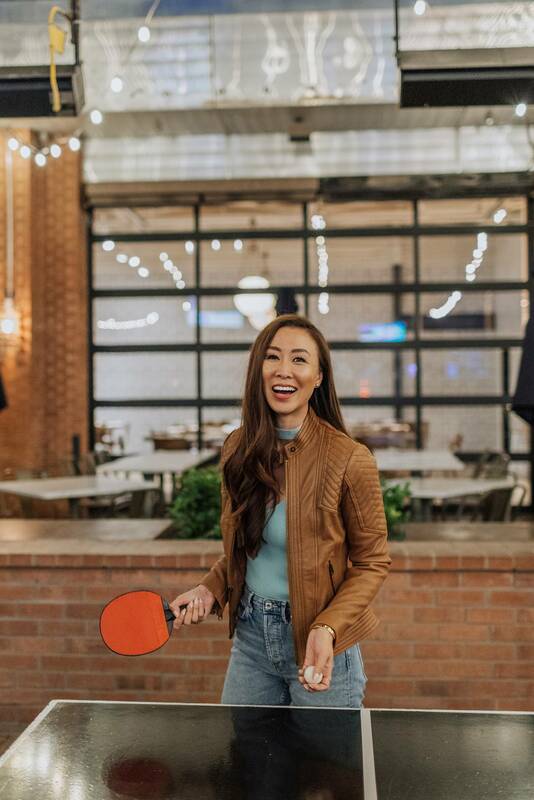 Lately over the years I’ve been falling behind and I attribute it to a few things – life has been incredibly steady once I got married and there’s not much drama to write about. I also think I forget so much that has happened and this little blog is a good space for me to share not yearly, but when it happens. Anyway, here’s my yearly reflection I wrote when I was 30, you can do the math on how old I am now ;) Time flies, but I sure think it’s looking, and getting better and better. There’s so much to look forward to and I wouldn’t trade going back in time for anything!